Ah the 5 pointed star! Such an ancient symbol. Whether representing the Golden Ratio, excellence, authority, power or mystical realms, the star is ubiquitous. 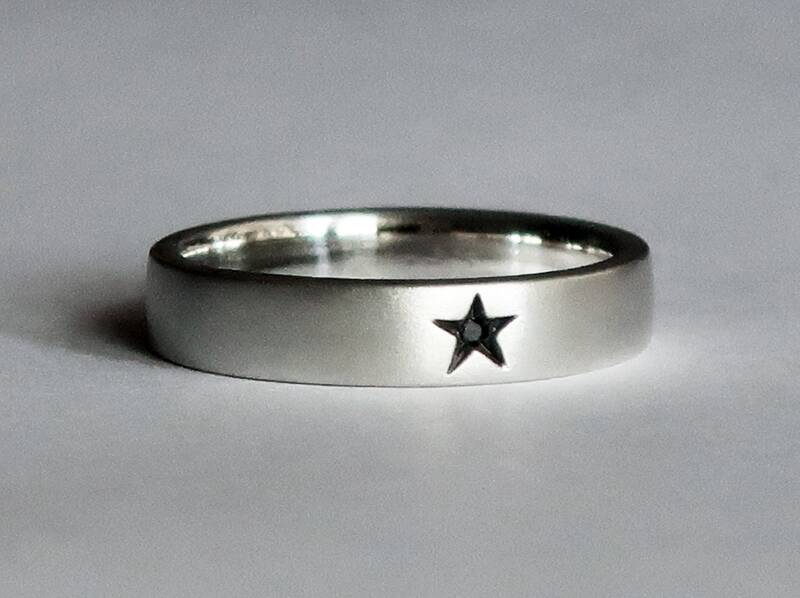 I first conceived of this little ring after the death of the incomparable genius David Bowie. Like many of my peers, I spent my teenage (and adult) years listening to his music and taking great inspiration and comfort from this incredible man and his work. Black Star, his goodbye opus was in my head and the Black Star symbol was everywhere. 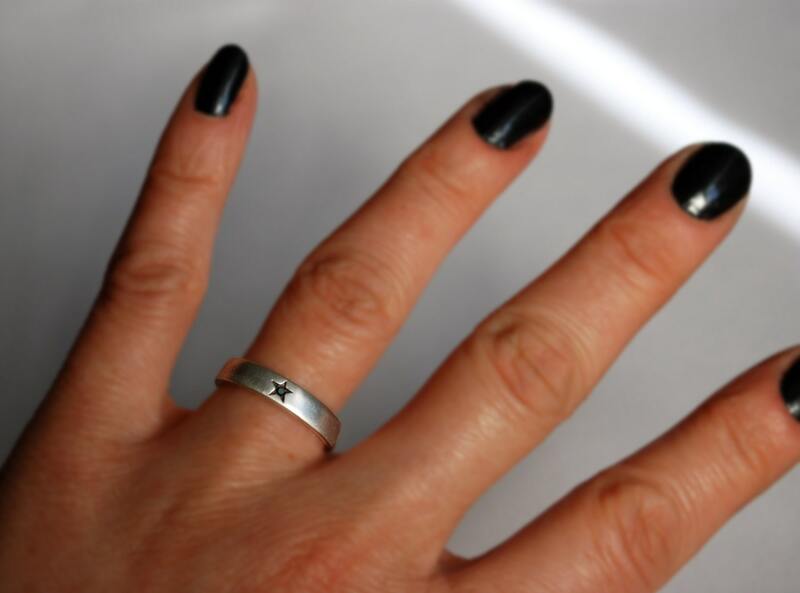 I made the first Little Black Star ring as sort of a memorial ring to make myself feel better about his being gone. As time passed I decided to make more of them. 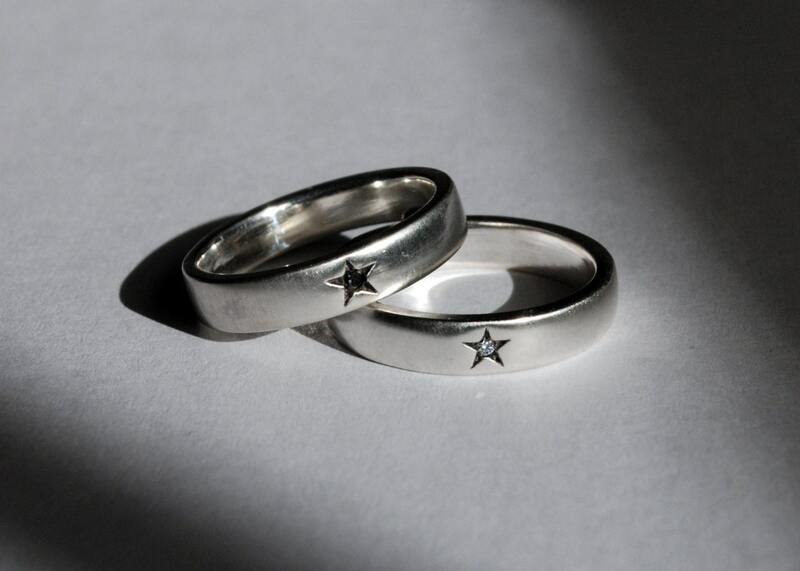 Now I think of these rings less as symbols of mourning and more as symbols of remembrance, eternity, light in darkness, balance and perfection. 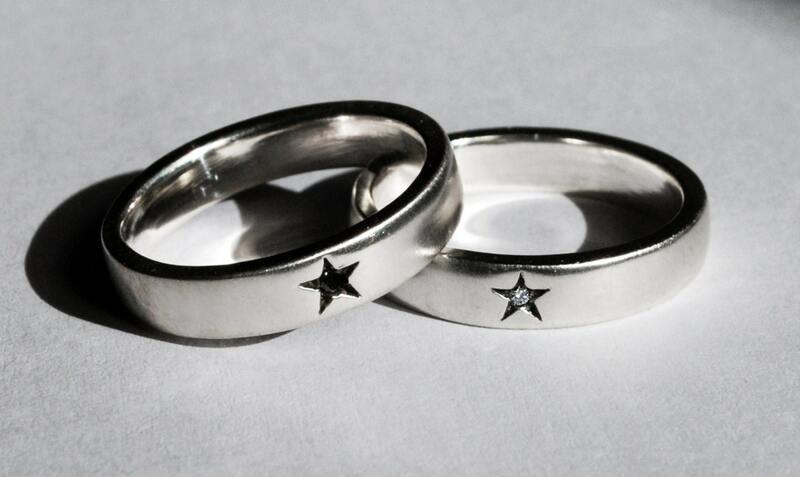 Whatever the star symbol means to you, these are lovely, easy to wear, everyday rings. They look great on their own and also work well as part of a stack. 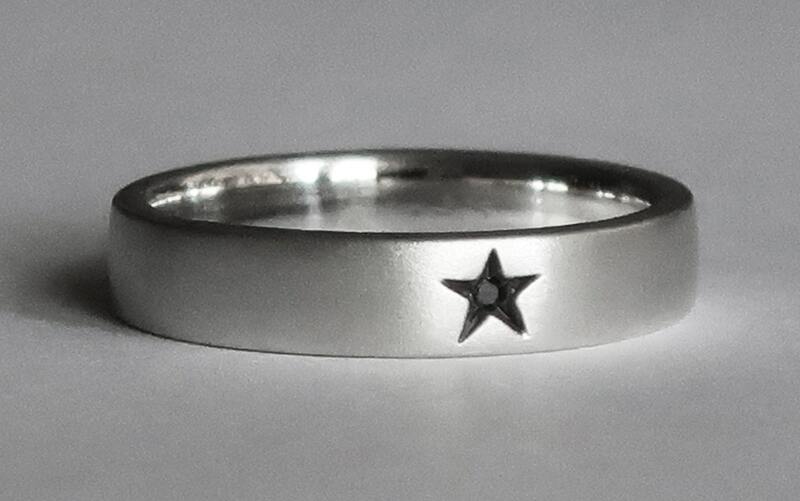 Cast in solid Sterling Silver each ring is set with a 1-1.3 mm black or white diamond in the center of a small blackened incised star (Star measures approx. 3.5mm x 3mm). They are finished with a satin polish which over time with wear will burnish into a rubbed glow. Available in US sizes 3.5- 7. If you need a different size please contact me. 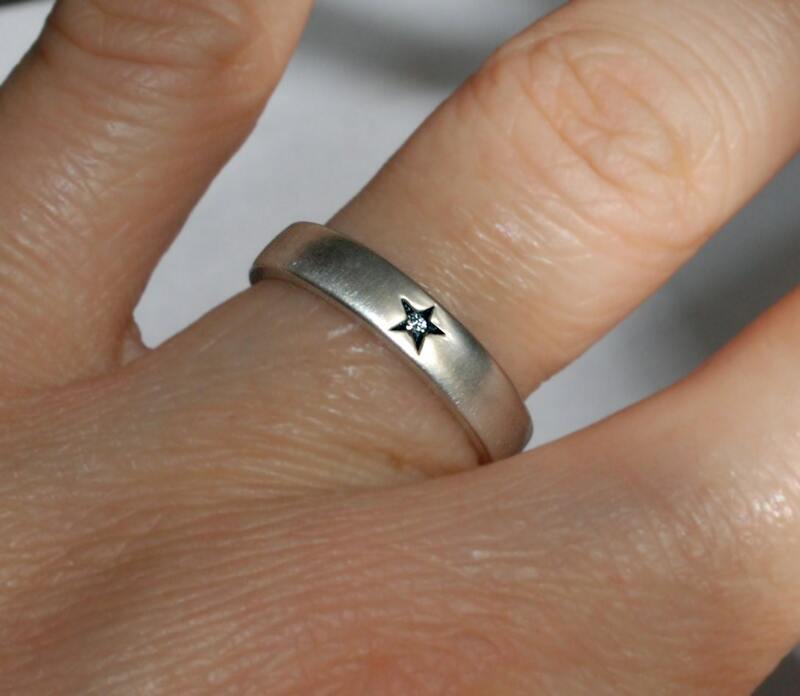 LISTING IS FOR 1 LITTLE STAR RING ONLY.